Baseline out of bounds - Box, pick the picker. 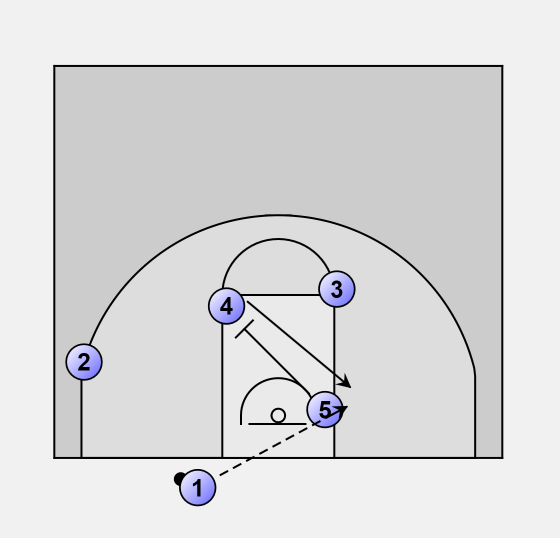 This out of bounds start with a screen from center 4 on player 2. Player 2 goes to the sideline giving 1 its first passing option. Player 5 is threatening inside the bucket. 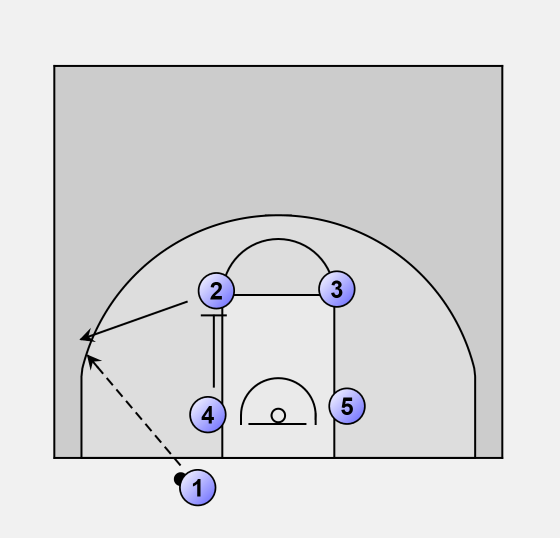 5 sets a screen on 4 who goes to the opposite side. (Pick the picker). Giving 1 another passing option. After his screen 5 rolls to the ball and might be able to receive a pass. 3 jumps outside the 3-point area and can be reached with a skip pass.